The double album is a concept that almost never gets executed correctly. Pink Floyd’s The Wall is the gold standard, one of the best selling records of all time, and even that suffers from bloating and filler. Double albums carry a stigma of ’70s excess, and rightly so. Leave it to Cathedral, the flagship band for classic stoner doom, to set a positive template for the future. Despite its double-length status, The Guessing Game (Nuclear Blast, 2010) doesn’t feel overlong. Lee Dorrian & co. keep things fresh by tweaking certain aspects from song to song. “Funeral of Dreams” breaks up straightforward riffing with quirky spoken word verses, reminiscent of the Small Faces and the Zombies. More ’60s psychedelia is apparent on the title track, an instrumental that lilts and sways on synth strings and flute lines for which Ian Anderson wants royalties. “Edwige’s Eyes” returns to the classic Cathedral formula: riffs that move mountains, a breakdown straight out of Master of Reality, and Dorrian delivering lyrics like “Pleasure and torment all in one place / Desire covered in blood and black lace / Investigate this crime, release me from death’s chime”. You don’t need drugs to get high. Those expecting Disc 2 to be a disappointment will have their fears assuaged by the end of “The Casket Chasers”. Gaz Jennings breaks out the wah-wah to great effect, working out a sleazy solo that couldn’t be more gratifying. “La Noche del Buque Maldito (aka Ghost Ship of the Blind Dead)” sets a mood befitting of its title, all creepy feedback and effects, until it launches into an upbeat groove that could score a haunted battle at sea. Album closer “Journey into Jade” is by far the most autobiographical rock song ever written. 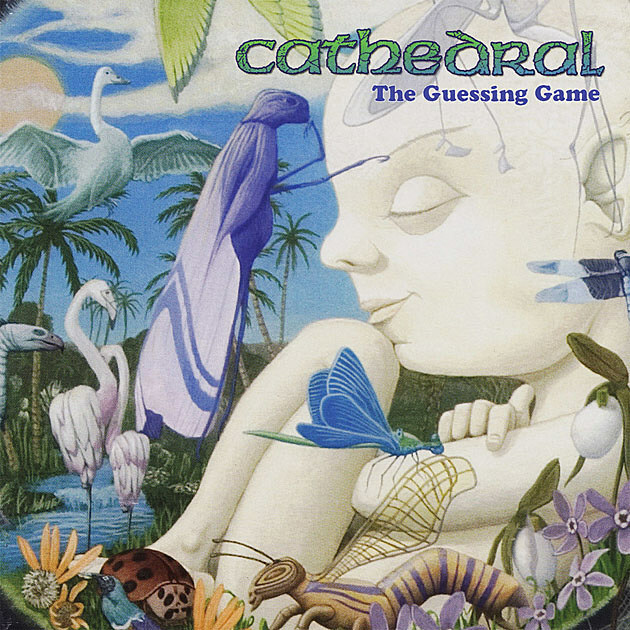 It chronicles Cathedral’s history in prose form (lyrics here) with a self-deprecating humor that reminds listeners of how much fun this band really is. (If you don’t believe that, see the video for “Hopkins (Witchfinder General)”.) An album with this many layers requires multiple listens. There are new things to discover and enjoy each time. It’s not perfect, but damned if it isn’t close.